Beautiful watch and great graduation present. My granddaughter loved it! 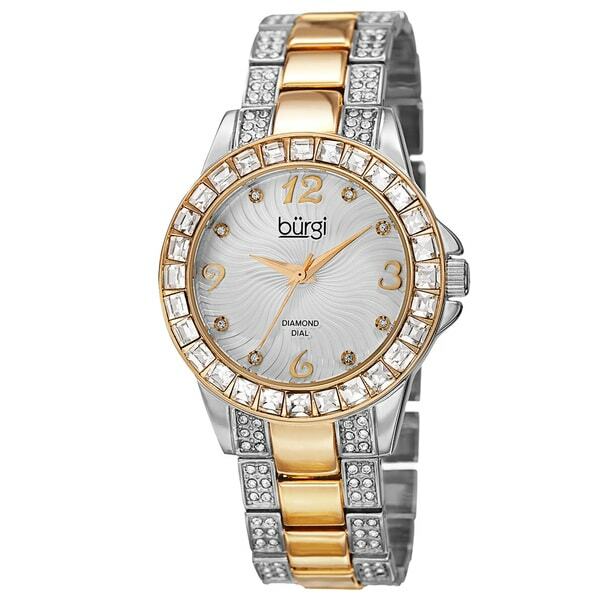 Watch sparkles and looks so elegant for dressy affairs. Because it’s two toned it works with all her jewelry whether gold or silver. Excellent product and is worth so much more than the low cost I paid. I’d recommend it to anyone. 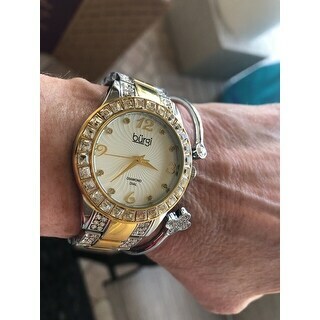 What a beautiful watch with diamond accents and crystals. Impressive price while limited quantities last. I personally love the styles but the two tone is a good choice if you aren’t going to buy one of each silver, gold. The silver would be best for evening apparel. So happy I got my Christmas present early but there is still time to order. The bangle included is too cute. Thanks for the gift!! Very fashionable! Looks expensive but of course it's not. Received many compliments! Love the two tone which allows me to wear with Gold or Silver jewelry! The bracelet-type band is much too large for my very small wrist. Plus, it’s too heavy. I will return it and hope to find one that fits better. But I love the watch - great quality. 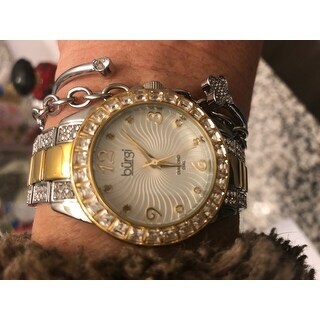 The watch is a very attractive piece of jewelry for your wrist. It has the right amount of bling for business wear. And was an excellent price for what I wanted. I would definitely buy the watch again. So many compliments on this watch. Works really well with dressy and casual wear. Perfect compliment to take from work to evening. My daughter love it the only of of stone fell out ,but she get comment all thevtime. 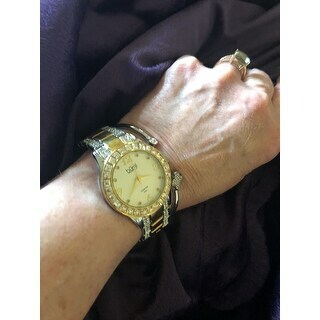 I Bought this watch for my mother. She loves it. The metals appeared cheap looking. 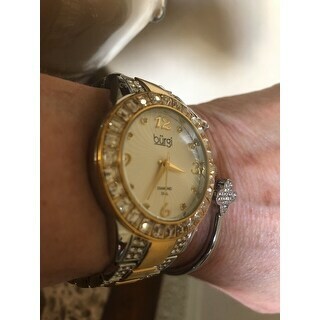 "I just purchase this watch for my daughter birthday MARCH 4 and one of the crystal has came out what can we do ?" Because I wanted a beautiful, inexpensive dress watch. It is for a wedding gift and can be worn with yellow gold or white gold jewelry.